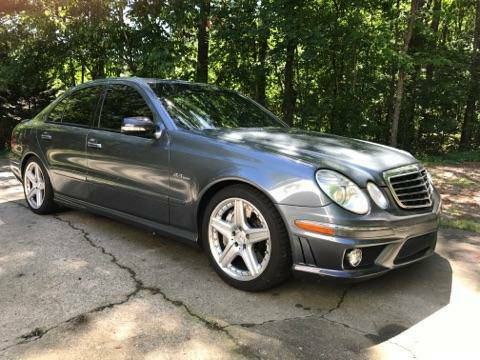 Hi: I am new to MB and just got a used 2009 E63 AMG. 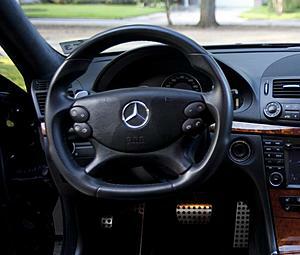 I noticed that my steering wheel is different from other 2009 E63. Have not seen one like mine, the bottom part is rather straight, not round. Picture attached. Is this normal? 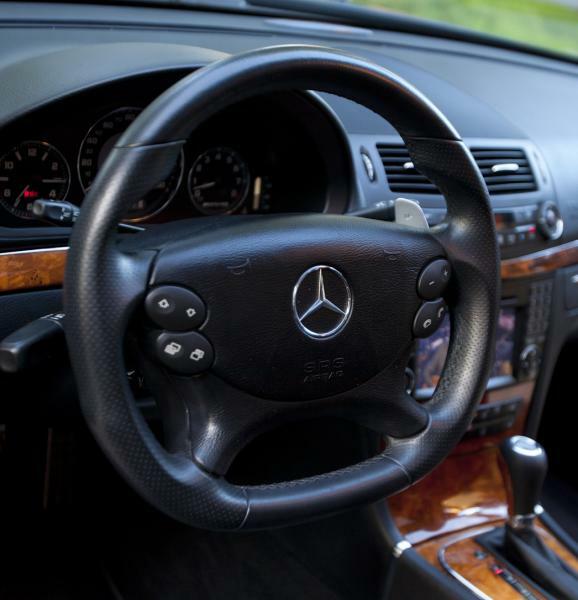 You have the clk 63 Black Series steering wheel, an option on the E and CLS. You lucky son of a b****h!!! I'll trade ya! Thanks, I do feel lucky now! I thought It looked sportier and felt really nice. So if this was an option on the E class, can I get it installed on my 2008 E63? Where can I find one? Do I have to take the car to the dealer to get it installed? Its also part of Performance Package for an 09 W211 AMG. OP, is your car also equipped w/ P03 Performance Package? You are right, since you mentioned it, I do remember seeing the performance package on the ad. I didn't know what it was. What else is in the performance package? He was just giving you 2 different angles of the same steering wheel. Here you go, now search is your friend! - CLK Black Series (flat-bottom) steering wheel or Alacantra thickened E-Class style steering wheel. 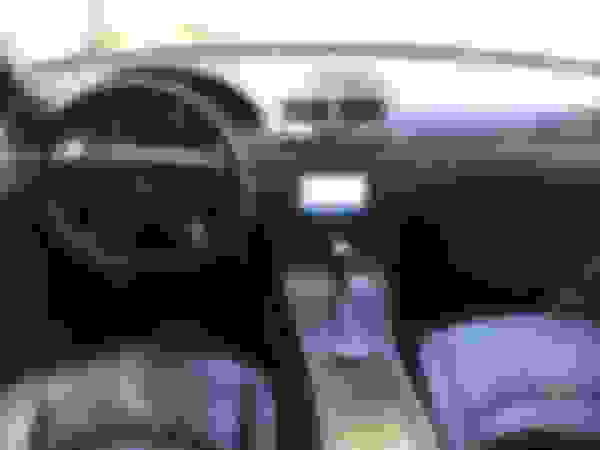 - Top Speed limiter increased from 155 mph to 186 mph. - Different rims (slightly wider in the back: 9.5 instead of 9 inches). 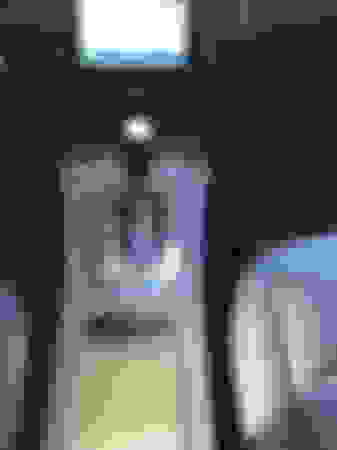 - Stiffer Sports Suspension (based on Airmatic DC). - AMG Limited Slip Differential (40% locking ratio). OP, what color is your car? Thanks for the info. My car is black and black. Used to own an BMW M3 black convertible. Traded it in for the E63. More power, more luxury, more comfortable. Love it. That is a very nice steering wheel, very lucky my friend. It looks sporty yet classy. I've seen some pretty bad steering wheels installed on E63s and E55s with that tacky hideous fake CF wrapping but this wheel is just perfect. Mercedes do make some nice steering wheels Change the wood trim though, that trim isn't the best looking. Get the grey looking trim it's alot nicer. Hi Everyone so Im also looking to buy an 08 E63 w the performance package and noticed it has this same CLK Steering Wheel as well as CARBON FIBER TRIM. I just wanna make sure its not after market. The carbon fiber trim is definitely aftermarket.